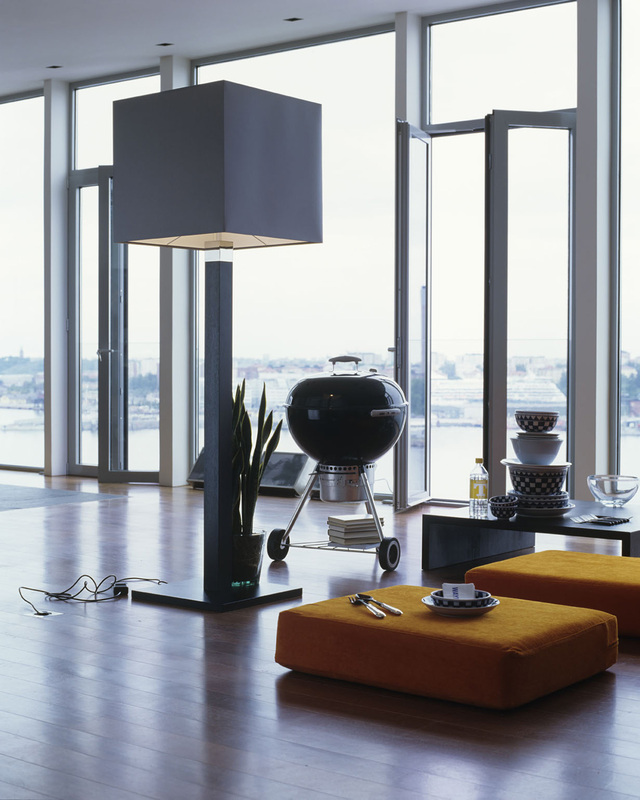 AT THE INTERNATIONAL FURNITURE FAIR 2002 IN COLOGNE, EL SCHMID WAS INTRODUCED TO THE PRESS BY LAMBERT (LAMBERT-HOME.DE) AS CHIEF DESIGNER. AS EXTERNAL COLLECTION ADVISOR FROM JANUARY 2002 TO 2005, HE WAS IN CHARGE OF THE DESIGN LINE AND ENSURED THAT THE ENTIRE COLLECTION HAD A COMMON THEME. A NEW DESIGN FOR LAMBERT’S BOOKS WAS ALSO DEVELOPED DURING THIS PERIOD. AS AN ADVISOR, EL SCHMID STROVE TO PRESERVE THE WORLD OF GUNTHER LAMBERT, WHILE AT THE SAME TIME SEAMLESSLY MODERNISING THE COLLECTION. 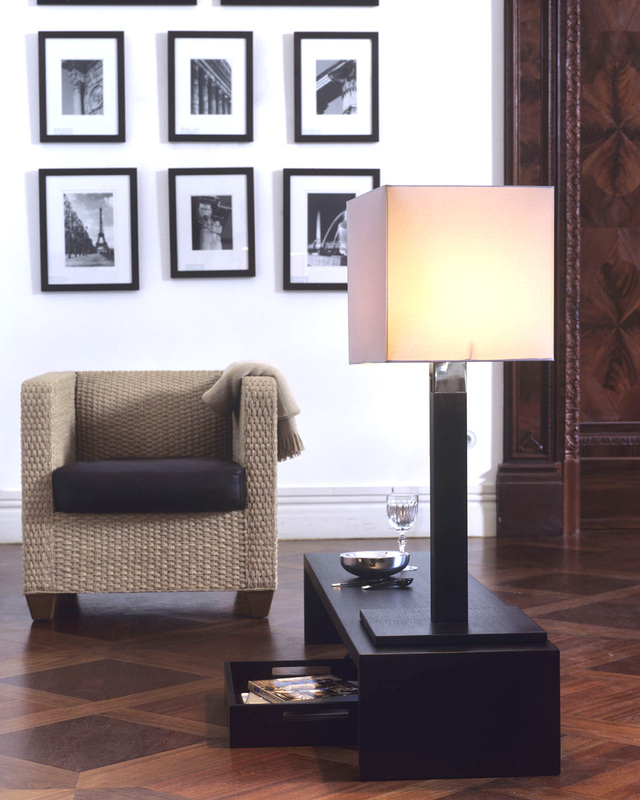 THIS IS EXEMPLIFIED BY THE “HAVANNA CLUB” FLOOR AND TABLE LAMPS. MANY NEW PRODUCTS WERE DEVELOPED IN COLLABORATION WITH THE LAMBERT TEAM. LAMBERT’S EXACTING QUALITY MANAGEMENT ALLOWED TOP-QUALITY ARTISANAL SERIES PRODUCTION. EL SCHMID DEVELOPED THE “SWITCH ON” TABLE AND FLOOR LAMPS IN AN EARLY INDUSTRIAL STYLE BACK DURING GUNTHER LAMBERT’S TIME. THESE LATER BECAME THE BASIS FOR A LARGE COLLECTION OF LAMPS FROM LAMBERT. 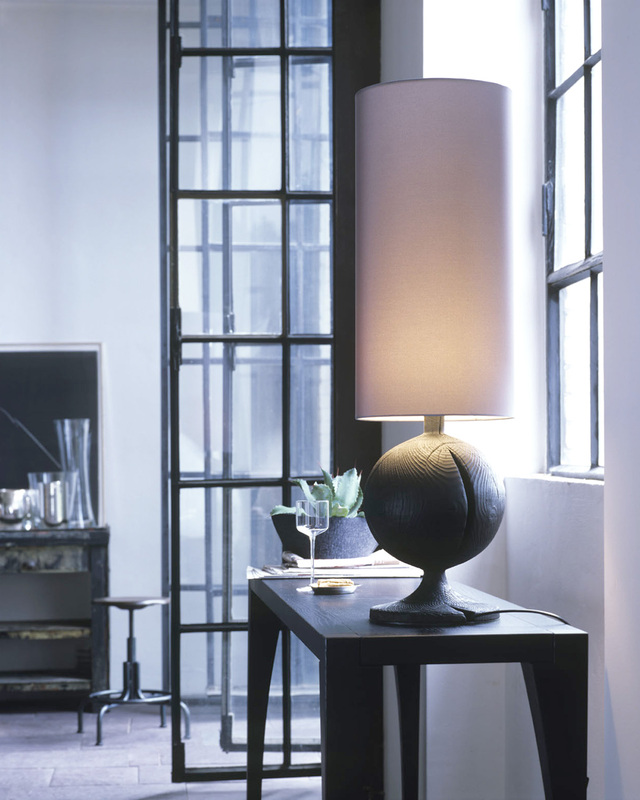 THE “HAVANNA CLUB” LAMP IS A STRIKING EXAMPLE OF A PRODUCT PRODUCED BY MASTER CRAFTSMEN IN EUROPEAN WORKSHOPS. THE SOLID OAK “ARCHIVIO SCHUBLANDENSCHRÄNKE” DRAWER CUPBOARDS ARE TRUE MASTERPIECES OF CARPENTRY. 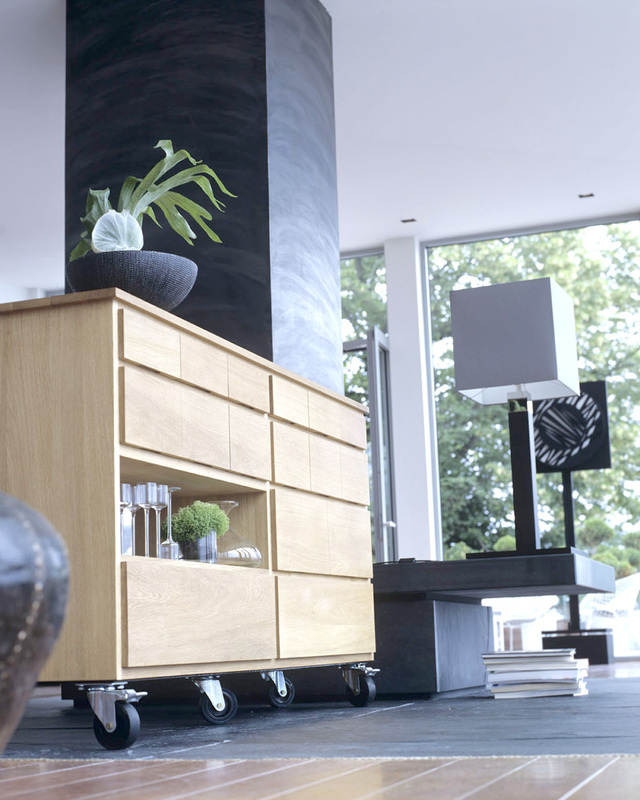 THEY EXUDE A SENSE OF CALM – FROM THE FRONT, THE DRAWERS APPEAR ALMOST INVISIBLE AND MERGE INTO A SINGLE PLAIN SURFACE. 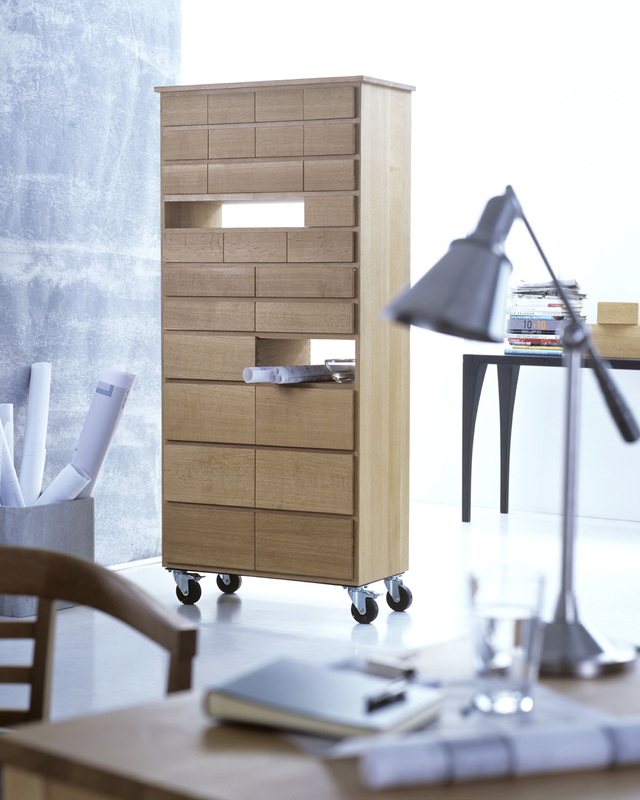 MODERN STORAGE FURNITURE ON CASTORS OR A BASE. EL SCHMID, THE AVANT-GARDIST OF THE EIGHTIES, ENRICHED THE LAMBERT COLLECTION FROM 2002-2005 WITH INNOVATIVE IDEAS AND EXPERIMENTAL ARTISANAL TECHNIQUES. 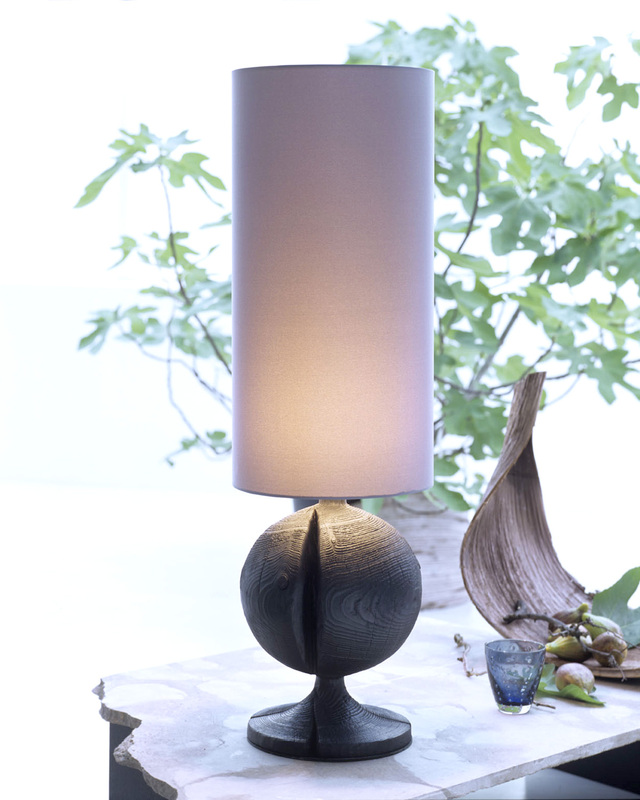 THE UNIQUENESS OF THE “MASSAI TISCHLEUCHTE” (MAASAI TABLE LAMP) LIES IN ITS MIX OF AFRICAN AND URBAN MATERIALS, COMBINING AN ARCHAIC MOTTLED WOODEN BASE WITH A CLASSIC SILK-STYLE LAMPSHADE. 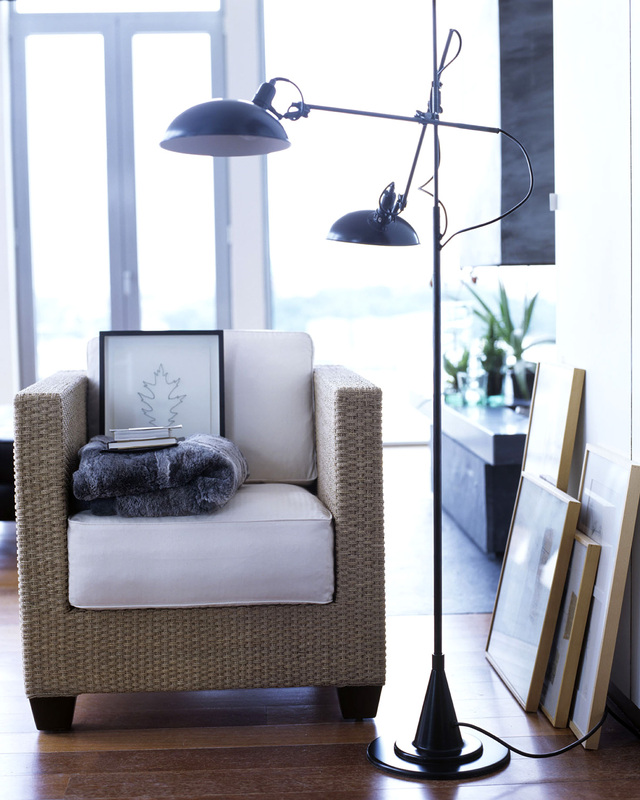 TO MAKE THE “SALON STEHLEUCHTE” (SALON FLOOR LAMP), A PIECE OF RUSTED IRON PIPING WAS POLISHED AND COMBINED WITH A BASE AND SLEEVE MADE FROM HIGH-POLISH CHROME. THE AVANT-GARDE MATERIAL COMBINATION IS COMPLEMENTED BY THE DOUBLE SHADE MADE FROM SILKY, IRIDESCENT GREY FABRIC. 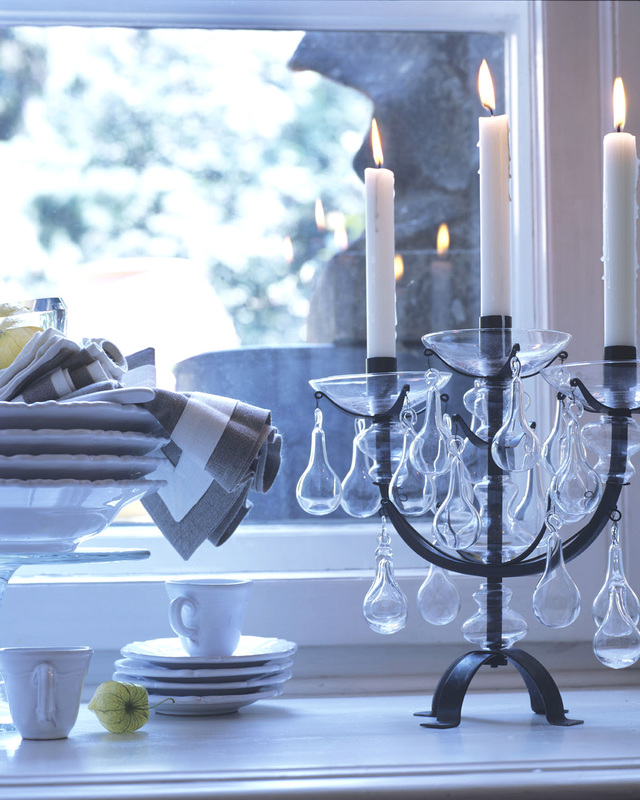 THE “LA SCALA TISCHLEUCHTER” (LA SCALA TABLE CANDELABRA), WITH 28 HAND-BLOWN BISTRO GLASS PARTS, BRINGS A FESTIVE MOOD TO THE TABLE. COLLABORATION BETWEEN EL SCHMID AND LAMBERT BEGAN WITH THE “LA SCALA” PROJECT IN 1996. THE “LA SCALA STEHLEUCHTER” (LA SCALA FLOOR CANDELABRA) IS TWO METRES TALL AND CROWNED WITH 159 HAND-BLOWN GLASS ORNAMENTATIONS, MAKING IT AN IMPRESSIVE EYE-CATCHER IN BOTH CLASSIC AND MODERN ENVIRONMENTS. 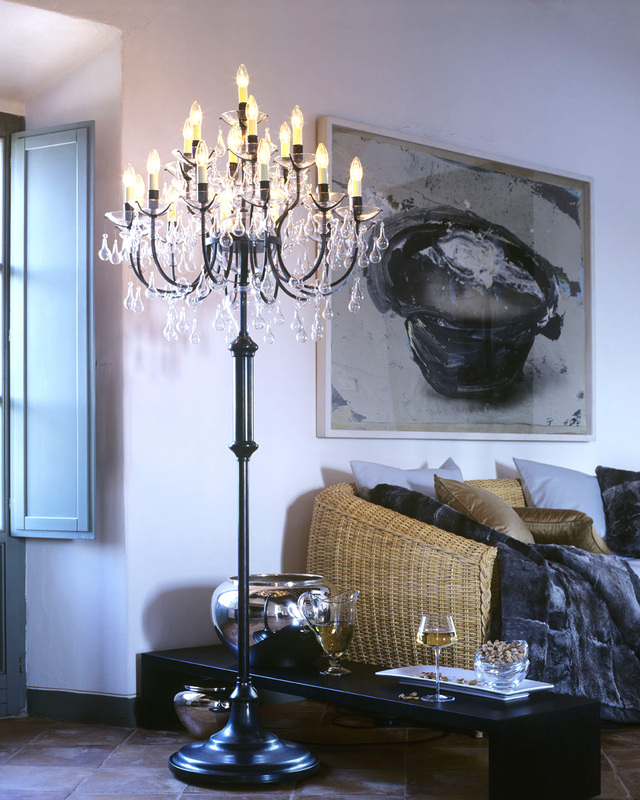 WHEN DIMMED, THE CANDLE-STYLE LIGHT BULBS BRING THE PLEASANT AMBIENCE OF A REAL CHANDELIER TO THE ROOM. THE LA SCALA SERIES WAS THE FIRST COLLABORATION WITH LAMBERT IN 1996. “HAVANNA CLUB TISCHLEUCHTE” (HAVANA CLUB TABLE LAMP) – SOLID OAK BASE AND SHAFT, STAINED AND LACQUERED, POLISHED NICKEL SLEEVE, SILK-STYLE LAMPSHADE, SLATE GREY, WHITE LINING ON INSIDE. THE “PONTE” COFFEE TABLE SERIES BRIDGES THE GAP BETWEEN ABSOLUTE MINIMALISM AND TRADITIONAL JAPANESE INTERIOR DESIGN. THE SPACIOUS “VIVA” GLASS-FRONT CABINET HAS AN ATTRACTIVE USED LOOK. THE BAVARIAN SPRUCE WAS SANDED AFTER IT WAS PAINTED WHITE, GIVING THE CABINET A CERTAIN NONCHALANCE TYPICAL OF SCANDINAVIAN FURNITURE. THE 12-ARM “LA SCALA KRONLEUCHTER” (LA SCALA CHANDELIER) BRINGS FESTIVE SPLENDOUR TO THE DINING ROOM. THE “MONBASA KÖRBE” (MONBASA BASKETS) SERIES WAS DESIGNED BY EL SCHMID IN COLLABORATION WITH THE LAMBERT DESIGNER TEAM – EVERY MATERIAL HAS ITS OWN LANGUAGE. STABILITY AND LIGHTNESS ARE COMBINED. 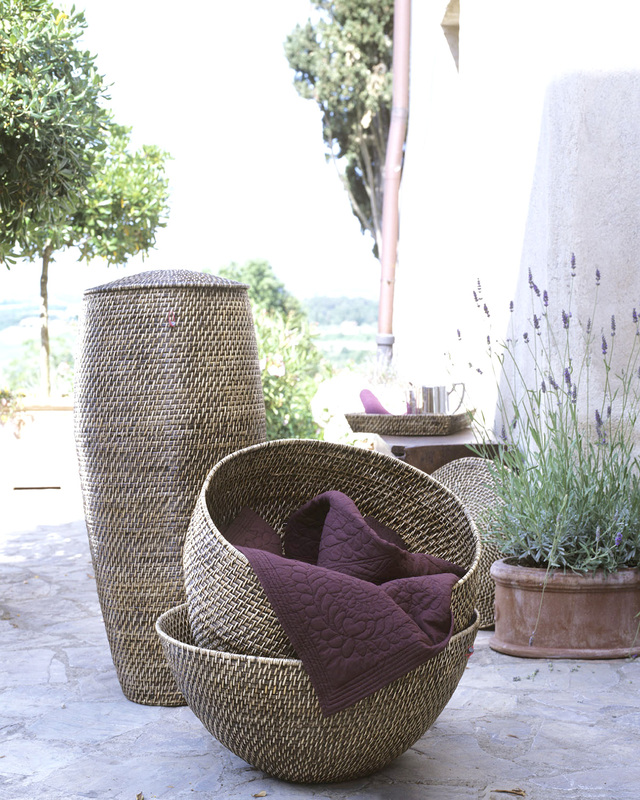 THE FORM OF THE BASKETS, REMINISCENT OF AFRICAN DESIGNS, FITS PERFECTLY WITH URBAN INTERIOR DESIGN. 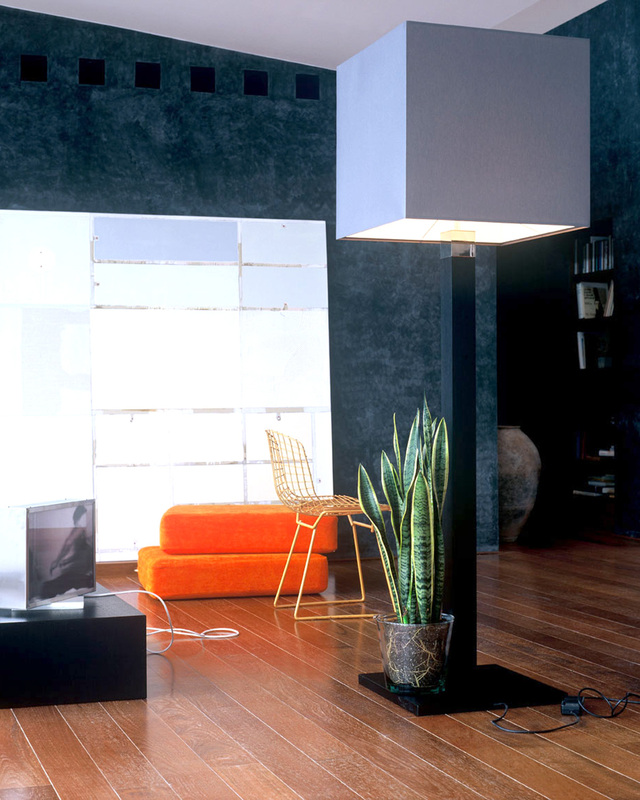 THE “SWITCH ON STEHLEUCHTE 3 ARMIG” (SWITCH ON 3-ARM FLOOR LAMP) WAS DESIGNED IN EL SCHMID’S WORKSHOP IN SEVILLE AND WAS PRODUCED FOR MANY YEARS. 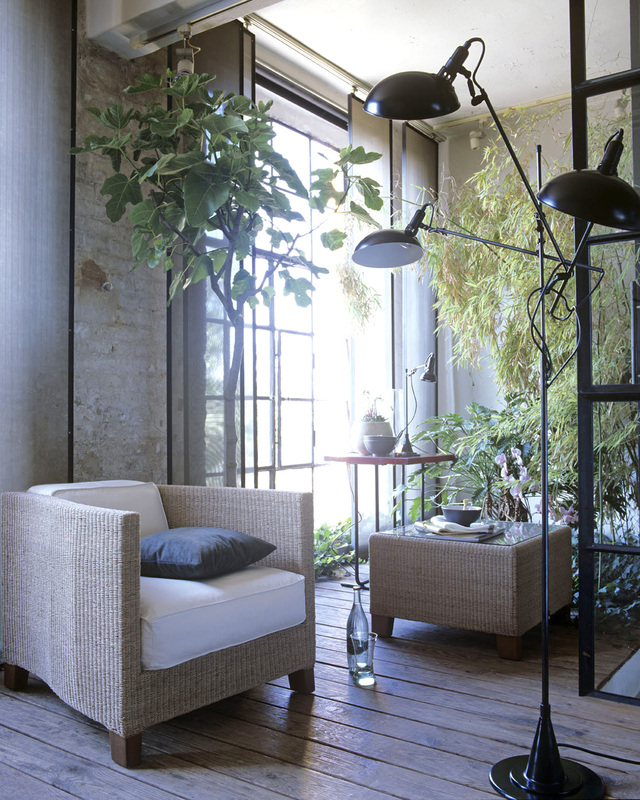 THESE LAMPS ARE CHARACTERISED BY ARTICULATIONS AND SHAPES FROM THE EARLY INDUSTRIAL PERIOD.